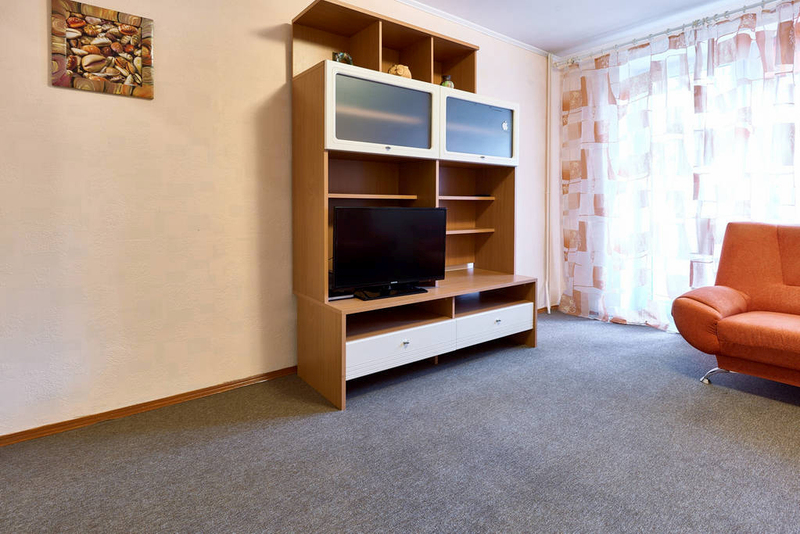 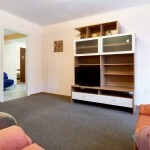 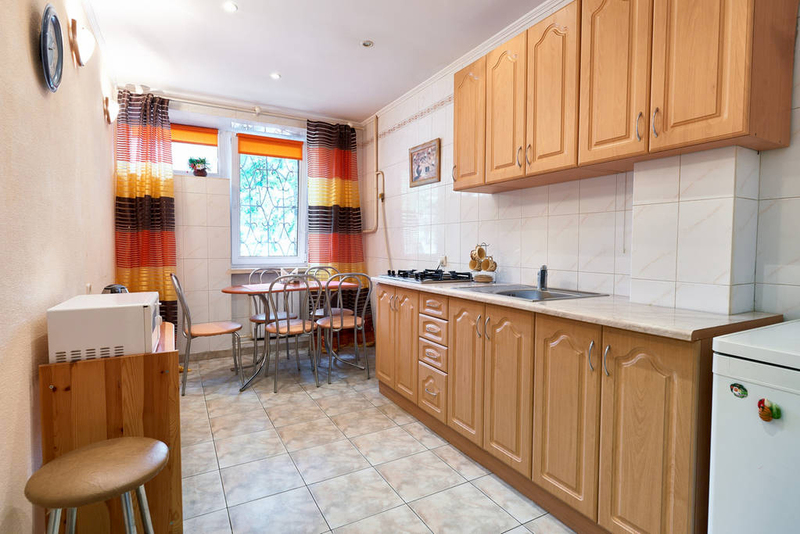 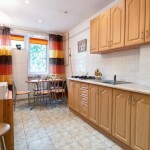 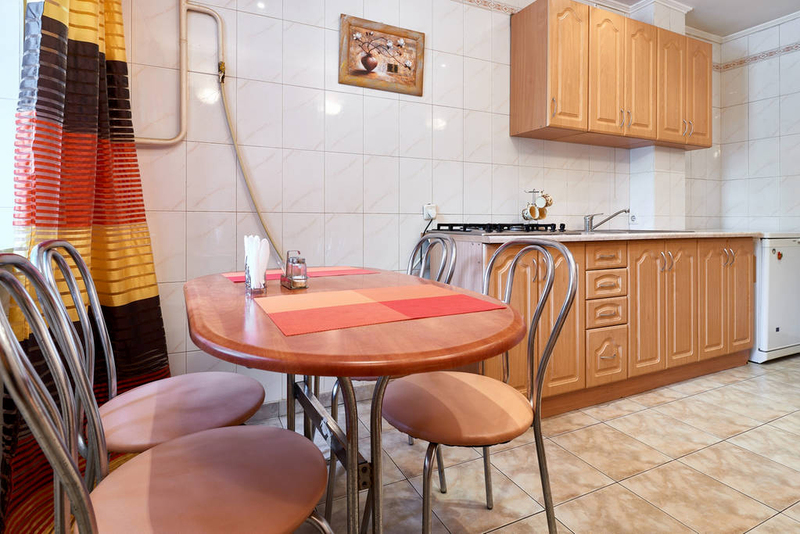 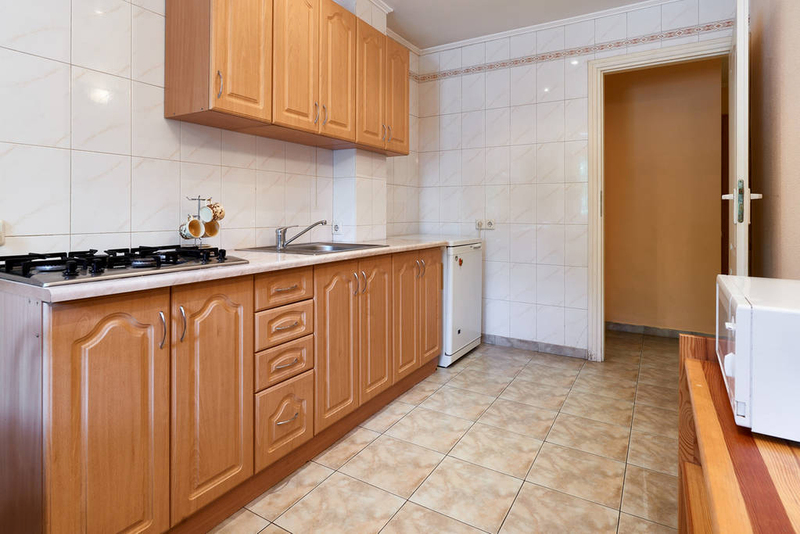 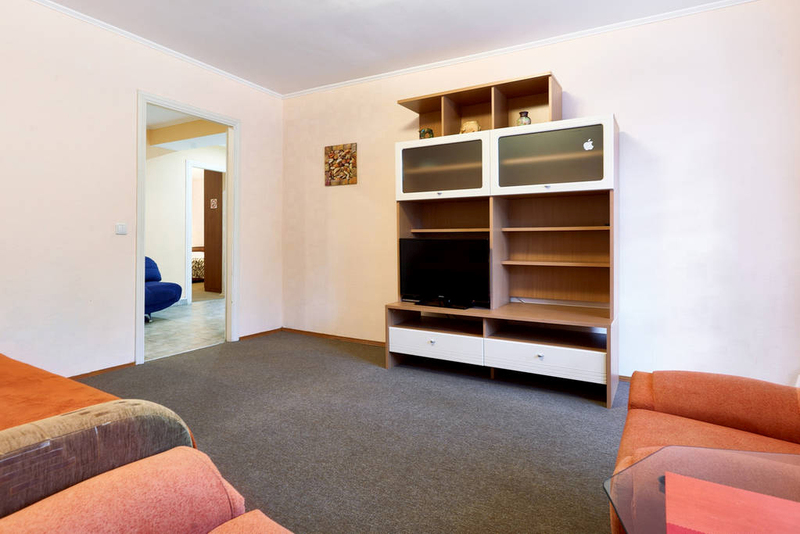 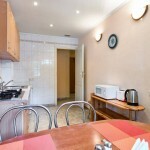 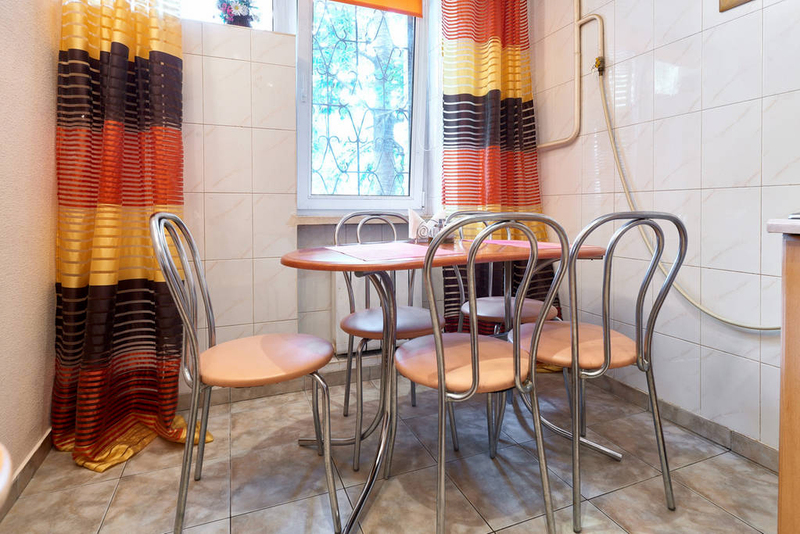 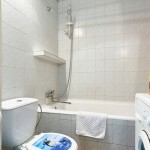 Nice roomy 2-bedrooms apartment on Podol, Kontraktova Square. 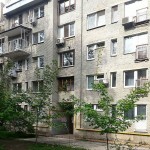 The apartment is on the first floor of a five-floors building. 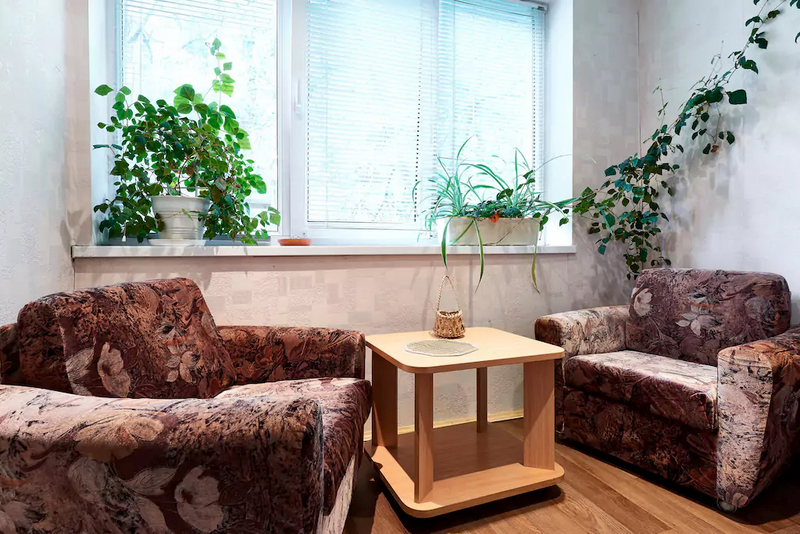 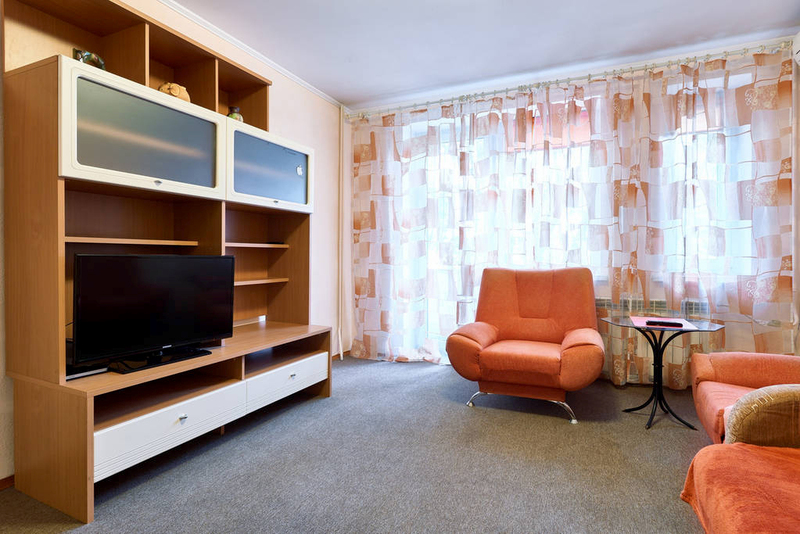 Living room: folding sofa of twin size, arm-chair, coffee table, LED TV 39’ (cable, Russian and international channels), DVD-player, radio-recorder, telephone, conditioner. 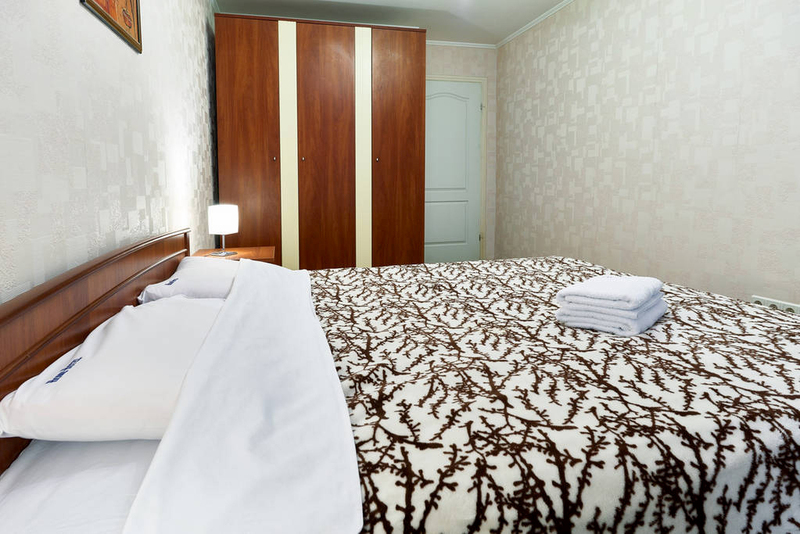 Bedroom: twin bed, wardrobe. 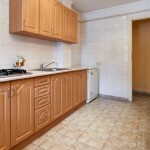 Kitchen: dinning table, refrigerator, gas cooker, micro-wave cooker, toaster, electric kettle, cutlery, washing materials. 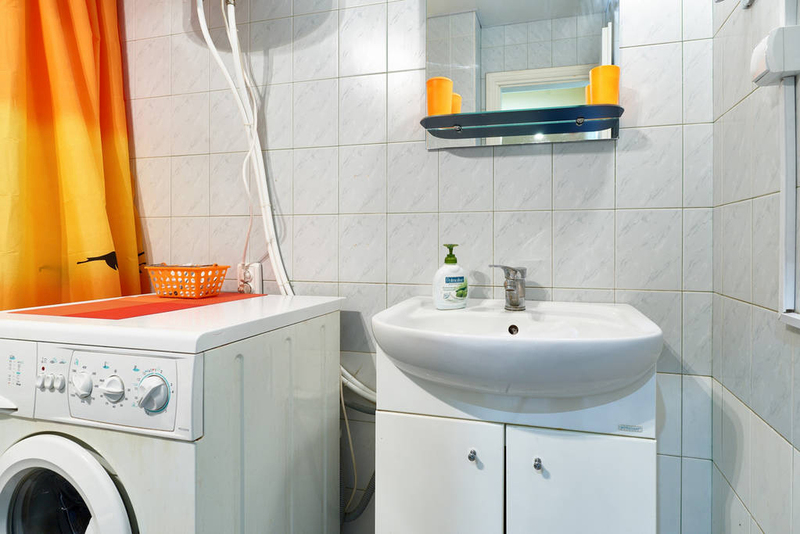 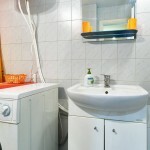 Bathroom: washing machine, bath, toilet, shampoo and soft soap packages. 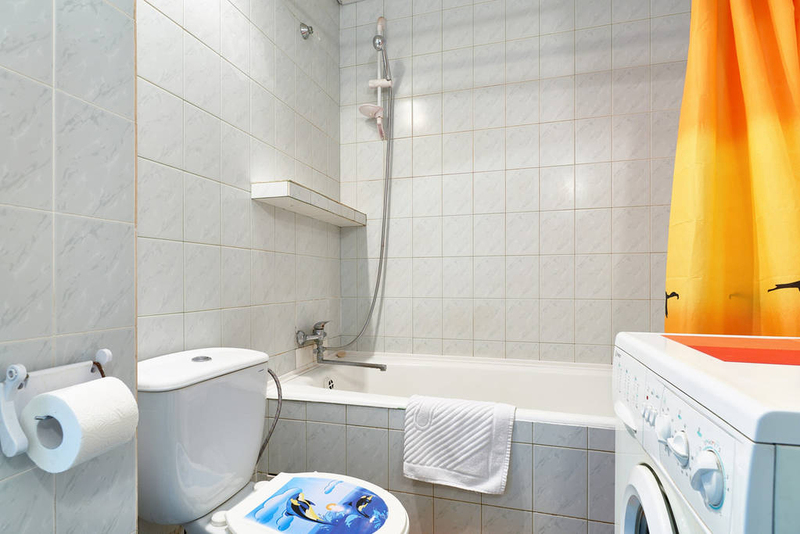 Free Internet / Wi-Fi. 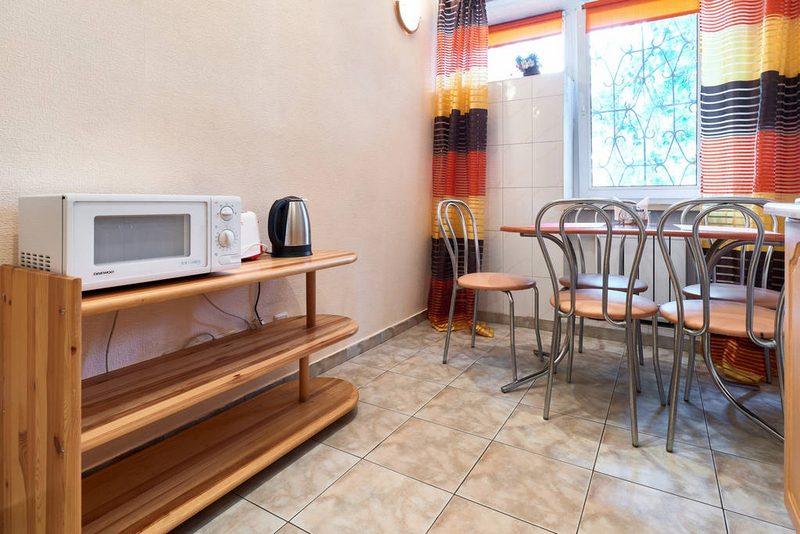 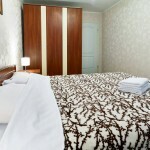 Full set of bed-linen and towels, iron and ironing board, as well as hairdryer are available. 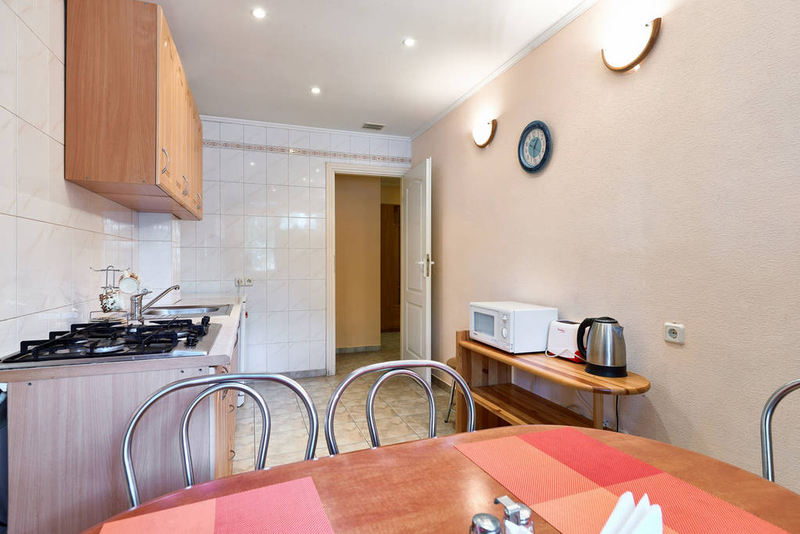 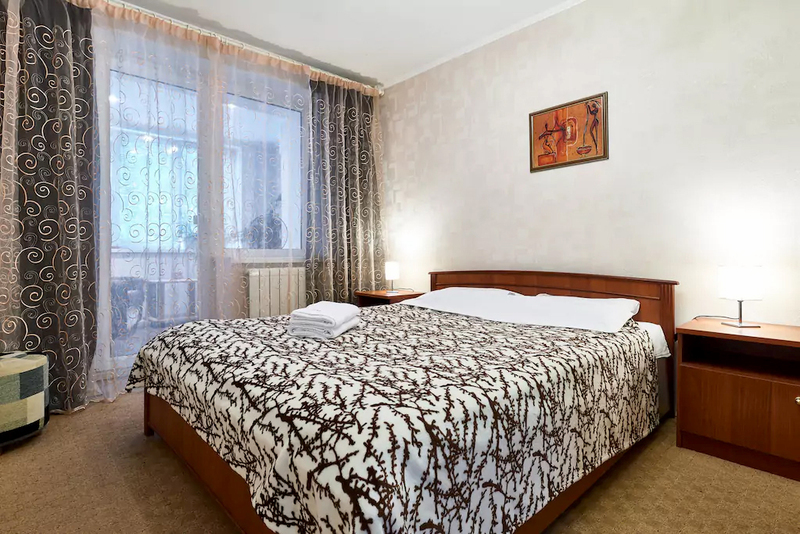 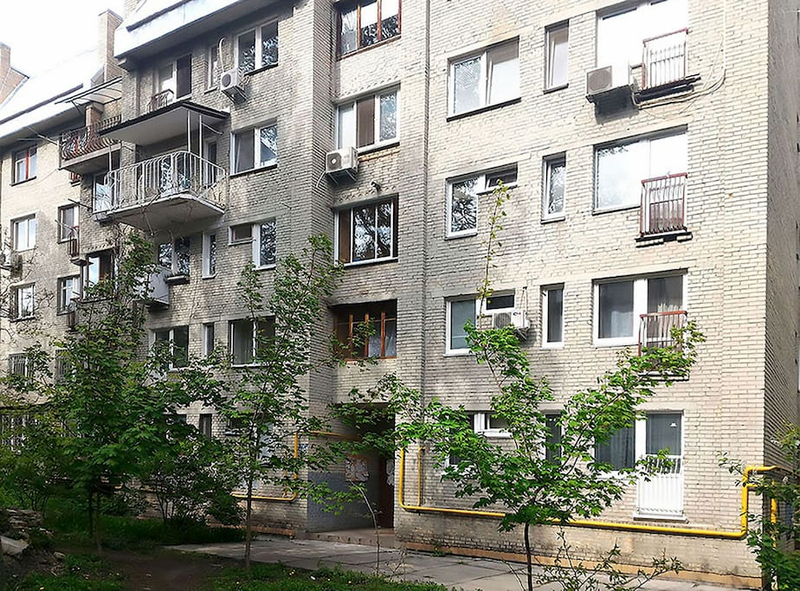 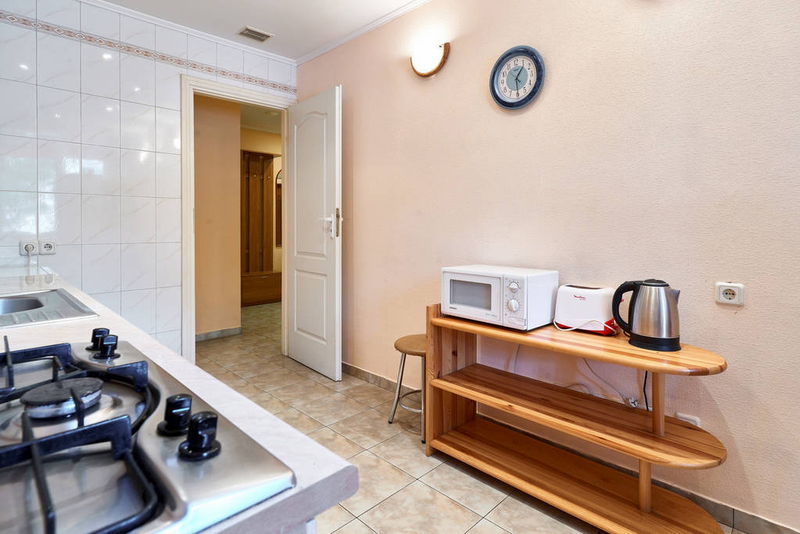 The apartment is located in the historical part of Kyiv city – Podol District. 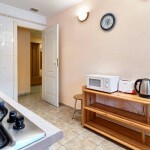 It is close to Kontraktova Square, where you will find several ancient churches and some other sightseeing places.